Secure Trading is one of the world’s leading independent payment service providers, delivering the most secure, reliable, fully PCI DSS compliant online processing worldwide. 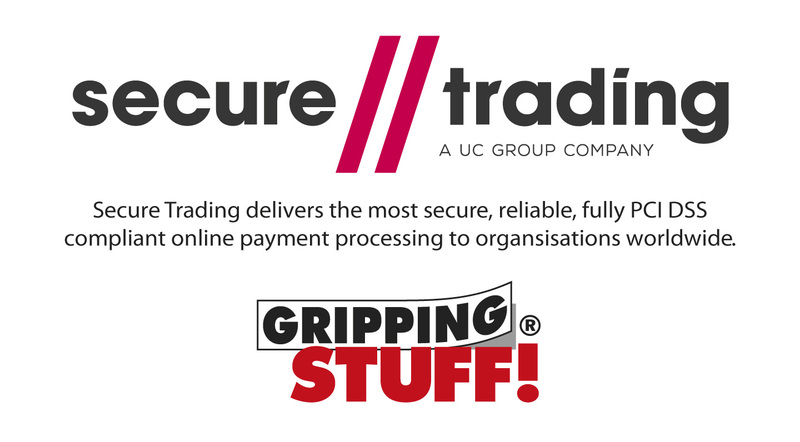 Secure Trading is Gripping Stuff’s secure payment partner because we believe in offering you (the customer) the reassurance that your payments are being handled professionally and securely, giving you confidence in every transaction you make. If you ever feel that your transaction was not handled correctly or securely, please do not hesitate to contact us at team@grippingstuff.com or call us 020 8979 3585.